Generally, for a trust to be valid in California the trustor (person who made the trust) must have been eighteen years old or older at the time of execution and have the mental capacity to make a contract. This is a higher standard of understanding than what it takes to make a Will, although there are a few recent cases in California where the court has found the capacity to make a very simple trust is similar to a Will. This is very much an evolving area of the law; however, in general, the trustor must understand more than just what a trust is, the extent of his or her wealth, and his or her relationship to the person who he or she intends to benefit. To successfully challenge a trust for lack of capacity, the person must prove that the trustor lacked the capacity to contract due to an illness or other condition. The trustor’s capacity must be impaired to the extent that he or she did not understand the content of the trust he or she was signing. A trust can also be challenged if it can be proved that the trustor was unduly influenced. Undue influence occurs when a person with power over another person causes that person to act in such a way as it brings about an unnatural result. An example of this might be where an elderly person is reliant on his or her caregiver and the caregiver convinces the elderly person to disinherit his or her children and leave everything to the caregiver. With undue influence, the elderly person may have capacity but feels dependent on the influencing person and therefore cannot resist that person. A trust might also be challenged for reasons other than lack of capacity or undue influence. For instance, a beneficiary may feel that a trustee is acting in an improper manner and may bring a petition for an accounting and possibly for the removal of the trustee. To remove the trustee the beneficiary would have to prove that the trustee had breached one or more of his or her fiduciary duties, that he or she was disregarding the trust, or that he or she was acting in a self-serving manner. Sometimes it is necessary to reform or modify a trust after the death of the trustor or trustors. This is usually because of an adverse change in the law, a change in a beneficiary’s circumstances or a scrivener’s error. If all remaining trustors and current beneficiaries agree to the modification, it can sometimes be accomplished without the assistance of the court. If any of the beneficiaries, however, do not agree to the modification, only the court can change the trust and, even then, only if the objecting beneficiary is not adversely affected by the proposed change. Financial elder abuse is an evolving area of the law. Allegations of financial elder abuse are frequently included along with allegations of a lack of capacity, undue influence, or breach of fiduciary duty because there are certain circumstances where the burden will shift to the person being accused of the wrongdoing. In addition, attorney’s fees, general damages, and punitive damages can sometimes be obtained if elder abuse is proven. Trust litigation is often a lengthy and very expensive process. Most probate attorneys will not take on a case on a contingency basis, so the challenger must be prepared to foot substantial legal bills. In addition, under most circumstances, it is the burden of the challenger to prove his or her case and not the burden of the trustee or other party to the trust to disprove the challenger’s allegations. Most trust litigation does not actually make it to a trial. Instead, most trust litigation cases are settled between the parties, sometimes through mediation. Trust litigation can be a costly endeavor, both in terms of time and money. Our trust litigation attorneys have successfully represented clients challenging the validity of a trust due to the trustor having insufficient capacity to execute the trust as well as situations where the trustor was subject to undue influence or the victim of elder abuse. We have also successfully represented trustees defending the validity of the trust document. Generally speaking, trustees in this position may use the income and assets of the trust estate to defend the validity of the trust. Caution should be exercised, however, if the trustee is the person being accused of unduly influencing the trustor. 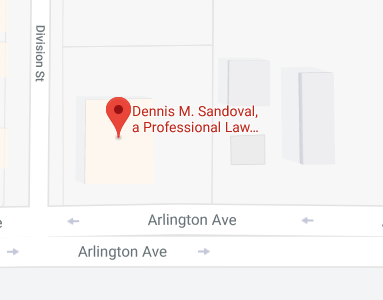 If you are involved in trust litigation in Riverside or San Bernardino County, contact attorney Dennis M. Sandoval online or call our office at 951-888-1460 to schedule a consultation. Our trust litigation attorneys only handle litigated cases in Riverside and San Bernardino County Probate Courts. As such, if the trust administration is being conducted in another county or state, we likely cannot assist you.